click photo to enlarge The picture on the left is Quincy Market in downtown Boston constructed in 1824-1826 and named in honor of the mayor Josiah Quincy. It was built without and tax or debt. 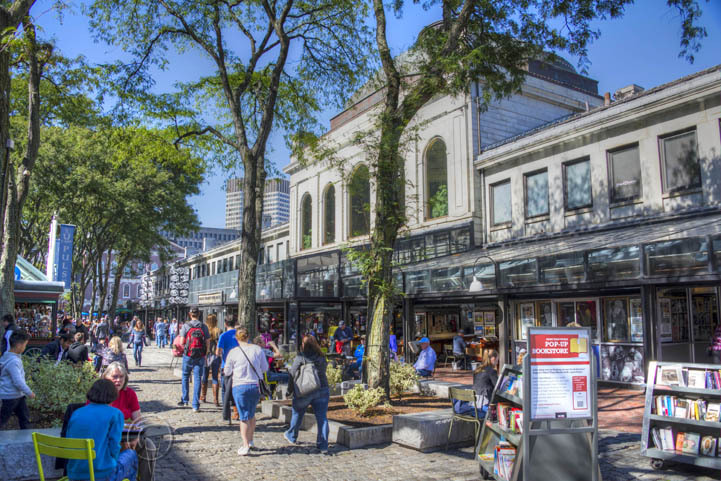 We ate here at the Boston Chowda Company and of course had their Chowda, Lobster Mac-n-Cheese and a Lobster pie. 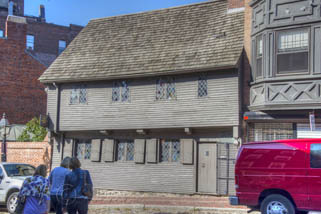 The next picture down is the Paul Revere house constructed in 1680 on the cities North End. 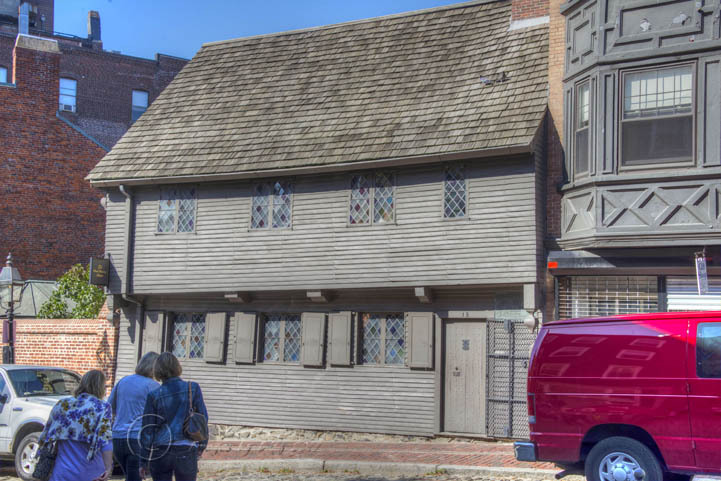 Paul Revere owned this house from 1770 to 1800. 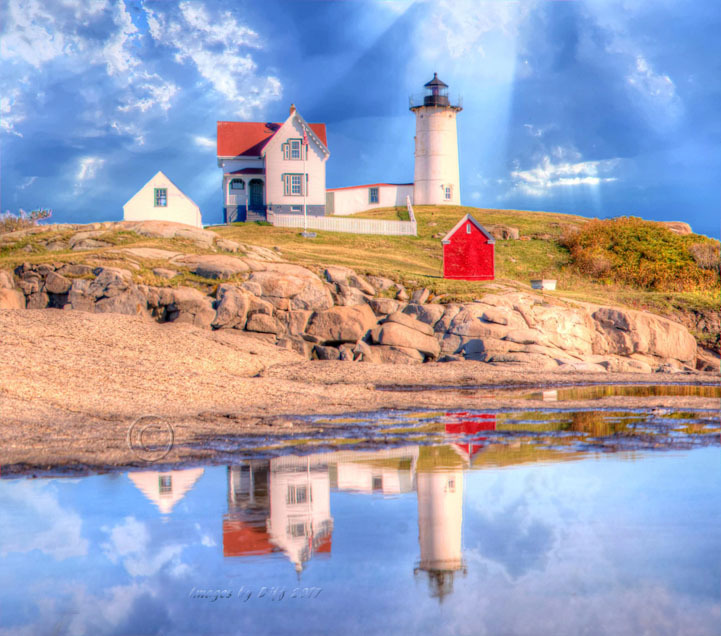 After leaving Boston we drove to Maine and stopped at the Nubble lighthouse. The picture has been altered pretty heavily by adding the clouds, sunlight streaming and the reflections in the water. It was really a clear blue sky. click photo to enlarge The photo at the bottom is the Trinity Church reflected in John Hancock Tower. 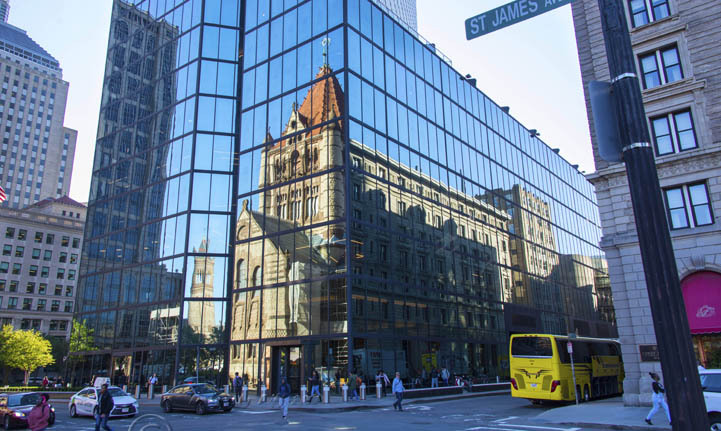 One of the common tourist stops in Boston is at the Trinity Church where you can see reflections of the church in the blue glass of the Hancock tower. 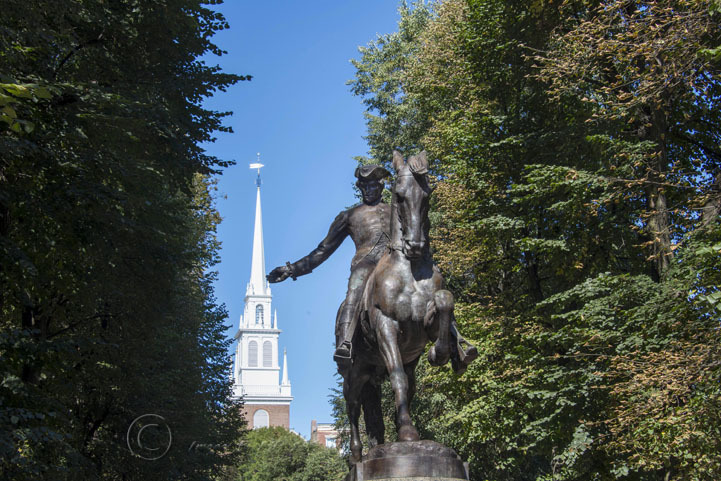 The statue at the bottom is Paul Revere and behind him is the famous Old North Church from which the "One if by Land Two if by Sea was sent. This is related to Paul Revere's famous midnight ride. It is the oldest standing church building in Boston.